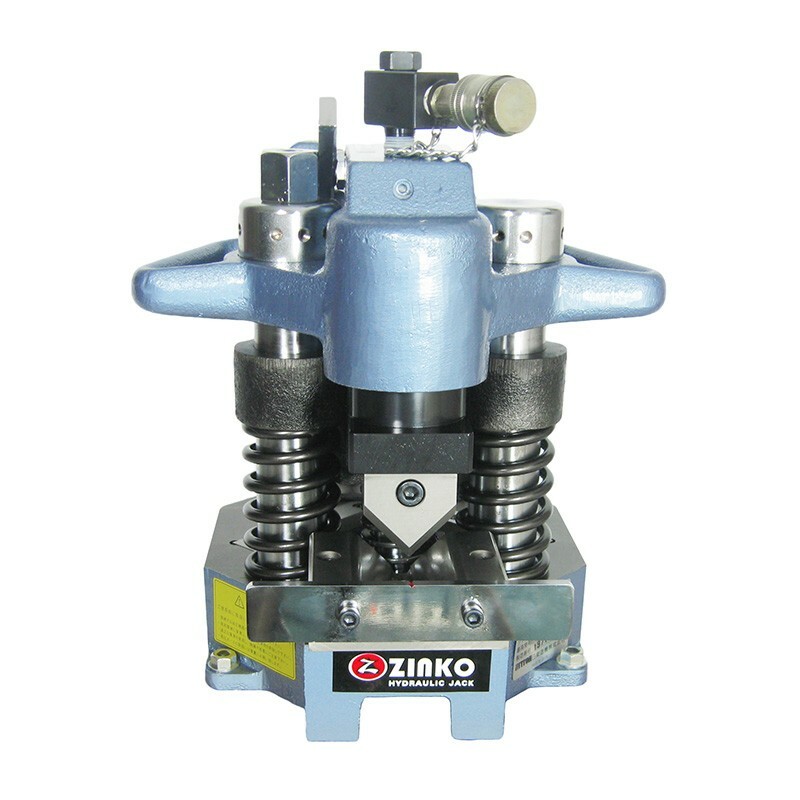 The Zinko ZFM Series Metal Forming Machine makes an excellent choice for any application that requires the portable forming of angle iron or steel. Capable of V-notching, angle bending, corner cutting, edge cutting or hole punching in angle up to 3" x 3" x 0.25" thick angle. 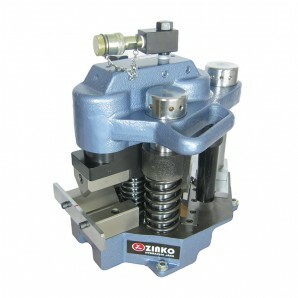 Rated at 23 tons this small machine can form up to 0.25" thick steel or stainless steal angle. V-notching, corner cut and bending dies are permanently fixed so there are no die changes necessary except for punching applications. Lightweight and portable this tool can easily to move to a jobsite or can be mounted in a permanent location per operator's requirements. Two cylinder system with selectable hand lever makes switching tasks easy. 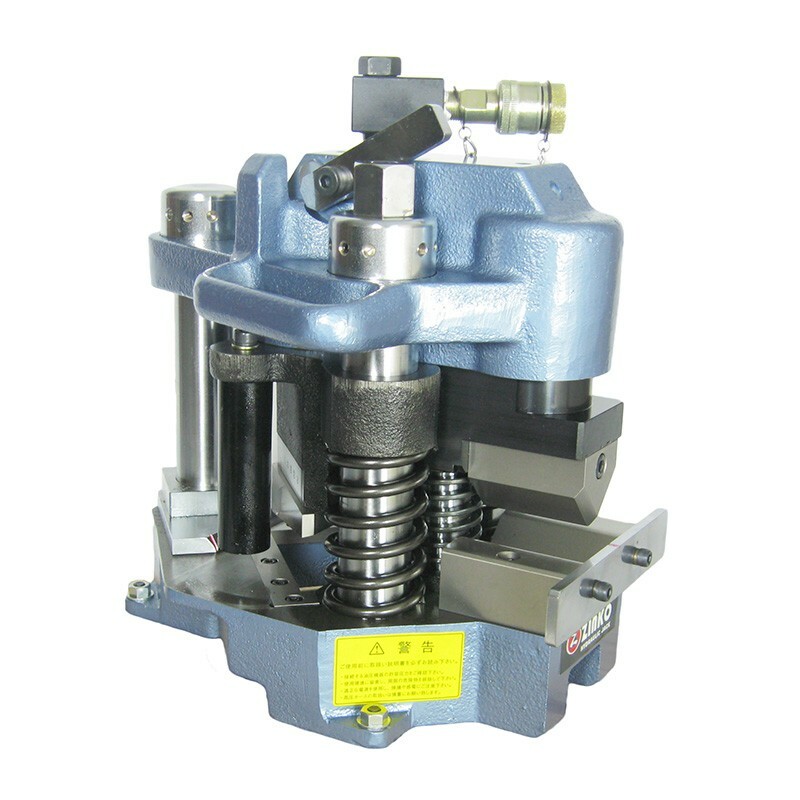 Clamping base is easy to operate and fixes material to machine. Machine can be used with a separate hand pump, air hydraulic pump or electric hydraulic pump. Capacity 3" x 3" x 0.25"
Dimensions 12.44" x 8.66" x 11.61"